Getting a tattoo is a serious thing. People might get them to represent a deeply held belief or maybe to mark a special memory. Regardless of the motives, though, tattoos have a way of lingering around, so you would expect people to exercise a bit of discretion before getting them. Unfortunately the celebrities on this list seem to have suffered severe lapses in judgement; the tattoos they chose to get are bizarre and blatantly foolish. The following probably started off sweet and cute, but certainly turned sour and mocking when the novelty wore off. Christina has a tattoo of a…well…a lion? It’s definitely some sort of cat surrounded by a strange cloud. Now getting a tattoo is a commitment, so put a little effort and detail into it. Christina’s tattoo looks like someone drew on her with a sharpie. Ahhh, love makes fools of us all! After dating Mariah Carey for perhaps six weeks, Nick Cannon got her first name tattooed across his upper back. A little premature? You bet. Now they’re divorced, and Nick is left with her name cattle branded across his back. Everyone knows Steve-O from the Jackass television show. 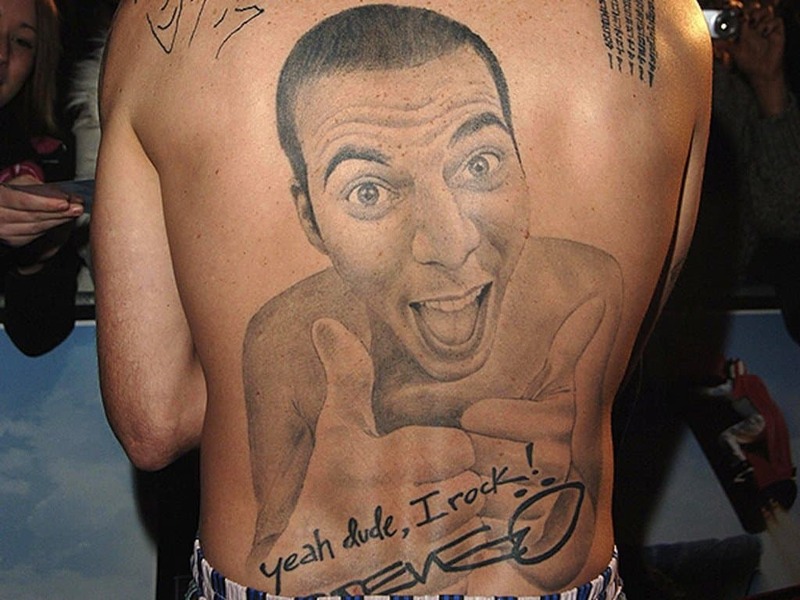 The guy definitely has a sense of humor, but with his tattoo (a portrait of himself giving thumbs up on his back) he presents a weird, contemporary version of narcissism. He must be his own biggest fan. Teardrop tattoos under the eyes can have a handful of different meanings. Sometimes they represent time in prison or even the loss of a loved one. 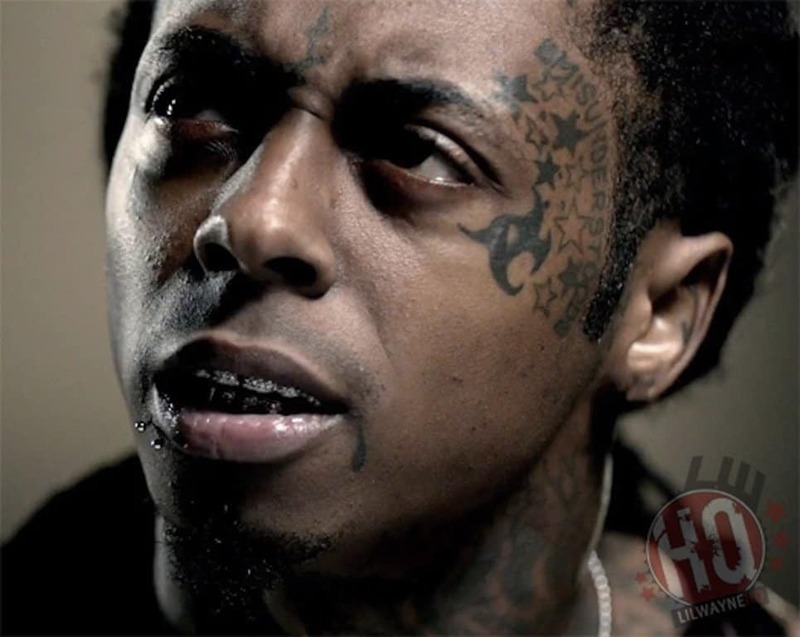 But no one is sure what Lil Wayne was thinking when he got another teardrop right by his mouth. Doesn’t mean anything. Nicole Richie has a tattoo of “Virgin” on her wrist. She says she had it done when she was 16, and her thought process was that because she was a Virgo she would get the sign Virgin tattooed on her wrist. She admits it was a stupid mistake and has even considered getting an “i” and an “a” to turn it into “Virginia”. 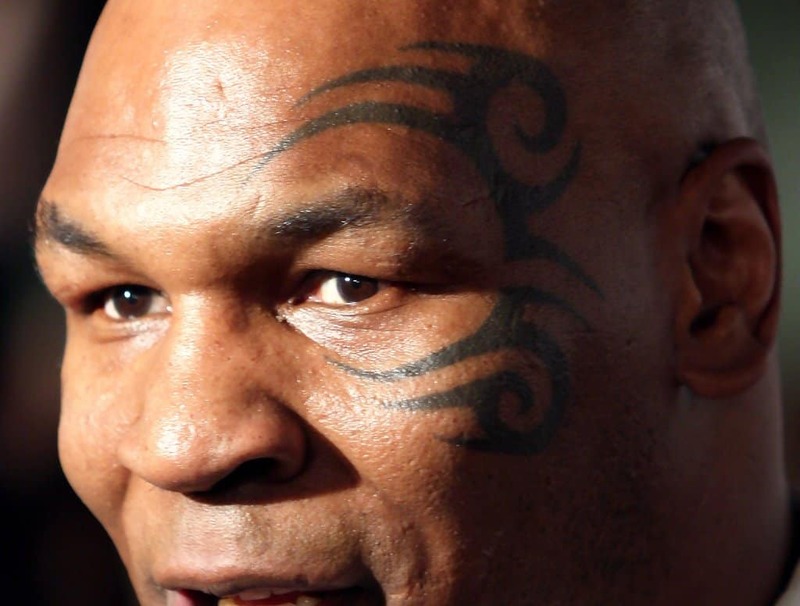 The legendary boxer might have been the first celebrity to start the trend of bad tattoos. The tattoo on his face is a Maori Tribe tattoo. Now, the Maori tattoos usually have a deep symbolism in their culture, and they also were a rite of passage of sorts: they use bone chisels to carve out skin rather than use needles to puncture. Tyson had his done the dishonest way, and if you asked him what it meant he probably wouldn’t know. 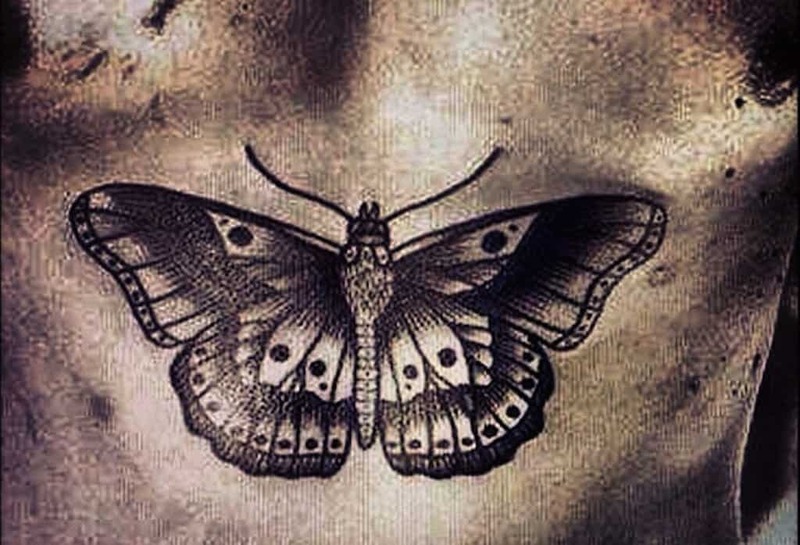 Harry Styles threw his lady fans into a fuss when he revealed his butterfly tattoo. No one is sure what it’s supposed to symbolize; some think it represents transgender people, and others think it stands for the Butterfly Effect. Maybe Mr. Styles himself doesn’t know: he’s going through tattoos like a chick goes through clothes, getting more than thirty in the past year or so. This one might just be the weirdest tattoo in this list. Pink has a barcode tattooed on the back of her neck, and supposedly it stands for her 2001 album M!ssundaztood. Well, she’s succeeding in confusing us, but one can’t help but wonder what would happen if the barcode was scanned. Would a price come up? Hayden wanted a tattoo that said, “Live without regret” in Italian. But the tattoo artist must have been a bit rusty with his Italian because he misspelled the phrase. If you’re going to get a tattoo consisting of written words, bring along a proofreader just in case. Amy Winehouse was famous for her tattoos. Unfortunately, people who get tattoos sometimes don’t realize that things change. She got a tattoo of a pocket over her heart with the name of her ex-husband, Blake Fielder-Civil, on it. The tattoo is actually clever, but they got divorced.